The new Golf Umbrella is Blunt’s largest and most robust umbrella to date. 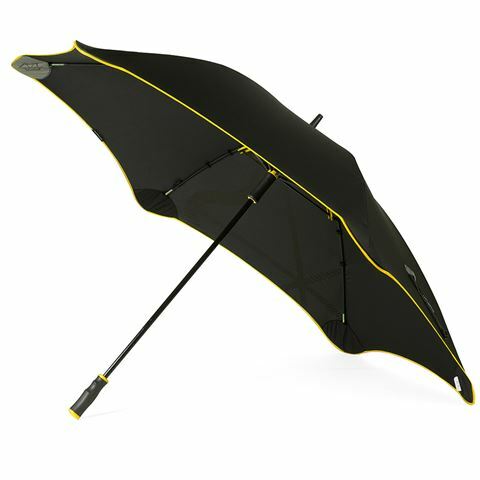 Equipped with a strong fibreglass shaft and ergonomic handle, this high-performance umbrella features an extra-wide canopy that’s perfect for playing 18 holes in the rain. Shaft is crafted from strong fibreglass. Tough polyester canvas protects the umbrella’s structure. Equipped with Blunt’s patented smooth-edge tips. Comes with a convenient carry sleeve with an adjustable strap. Presented in a Blunt gift tube.